The Neofocus widens the horizon of fire, letting the flames seek their liberty. This fireplace's talent lies in enlivening the flatness of a wall. In both its versions, wood-burning or gas-burning, and two different widths, this model has taken a prize position in our range. 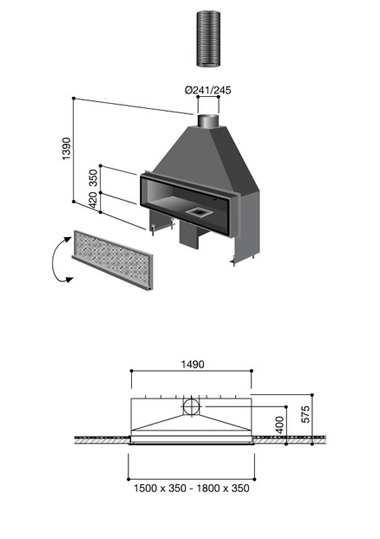 This self-supporting single-unit fireplace is made from steel.